Awaken your partner's most daring senses with an exquisitely soft Rex Rabbit Glove massage. We tailor our massage gloves with only the highest quality Rex Rabbit fur, creating an incredible velvety experience. Most people have never felt the incredibly soft thick fur of Rex Rabbit, much silkier and more durable than common rabbit so it can be enjoyed again and again. Rex Rabbit is praised as "nature's velvet" and lacks the prominent guard hair that characterizes common, rougher rabbit fur that sheds. The result is a silky, dense fur that furriers say most resembles chinchilla or sheared mink. More tempting than lingerie and more deliciously decadent than chocolate, sharing a MinkgLove Fur Massage Glove is the ultimate gift you'll both enjoy! Oversized for unisex fit and lined with premium silky satin for the smoothest feel. 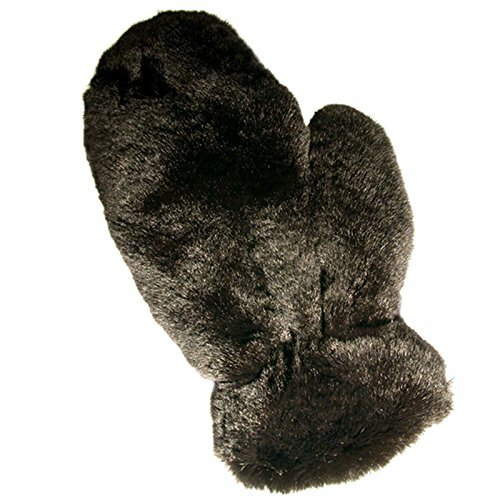 Double Sided Fur Gloves are fully covered in fur on the outside (both palm and back of the hand). Single Sided Fur Gloves feature plush fur on the palm side and luxurious silk on the back of the hand. Comes as a single glove piece (not pair).